Citizens need solutions to their pressing justice problems. If you have a project that fits the above, you are a justice innovator, otherwise called a justice entrepreneur. And, this means we are able to help you. The HiiL Justice Accelerator scouts and supports the world’s best justice innovators. We provide grant funding, business acceleration services, access to free technical tools, connections to local and global mentors, and promotional opportunities. Check out our opportunities below to understand how to apply. The application for the HiiL Justice Accelerator is currently closed. The next application round will be launched on June 3, 2019. Check back then for more details! In the meantime, check out the information below to understand more about the Justice Accelerator. If you’d like to leave your contact information, we’d be happy to notify you when the call opens. Since 2012, the HiiL Justice Accelerator has existed to scout and support the world’s best justice innovations. We have a yearly portfolio of 20-30 innovations. To grow, justice innovations need “fuel.” The fuel we offer comes in many forms. We provide you with funding, help engaging the justice sector, networking connections, mentorship, business development, technical partners, justice sector data to community. Grant funding up to 20,000 EUR. Local incubation (where possible). If you reside close to one of our 7 hubs, we can provide a local advisor, otherwise called an “Innovating Justice Agent”. Mentorship. We can connect you with local (where available) and global mentors. Connections. HiiL has a network around the world: with justice institutions, impact investors, legal tech organisations, academics. Promotion and branding. You can proudly display the HiiL logo on your site showing that you are part of the HiiL Justice Accelerator programme. What does the Accelerator look for? What is a justice innovation? A justice innovation is a product, service (offline or online), or tool that helps people prevent and resolve pressing justice needs. It’s an innovation when it can potentially resolve millions of these needs, at a low cost. Impact On access to justice, how important is the problem addressed? How many users will be reached? Sustainability Is the the business model stable? Can this innovation can survive long-term? Scalability Could this idea scale to reach millions of people, in the same country, or even internationally? Team Does the team or individual possess a balance of skills? How committed are they? 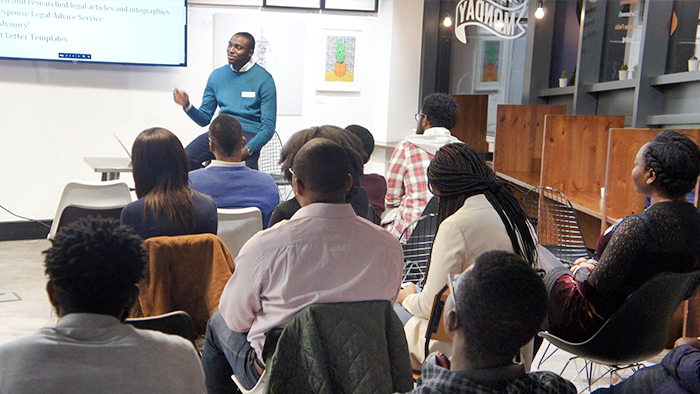 The Justice Entrepreneurship School (JES) kickstarts justice innovation. With courses in business modelling, impact assessment, marketing and more, the JES helps prepare justice innovators for big growth. It’s so much more than just classes. This is your chance to join a global community of big thinkers like them. Connections and networks made at the JES have lasted years and have led to big collaborations. Only certain innovators make it to the Justice Entrepreneurship School. We assess who attends each year based on 1) how promising is the innovation, according to our selection criteria; and 2) is the innovation at the right stage where the JES is helpful? Many startups are too early, or too advanced, for the training that we provide at the JES. Our team will work with your innovation to determine whether attending can be helpful for you. 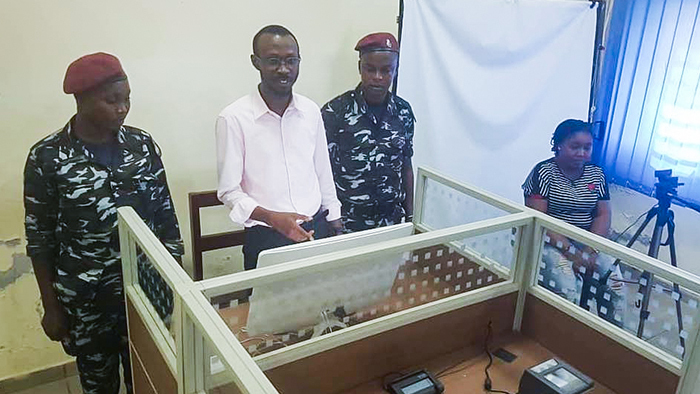 CrimeSync made an all-in-one digital crime records management application that has been launched across Sierra Leone’s prison system. It serves to improve efficiency and transparency of the justice system. LawPadi is a friendly chat-bot that can be used to get information about the law for any legal issue in Nigeria. 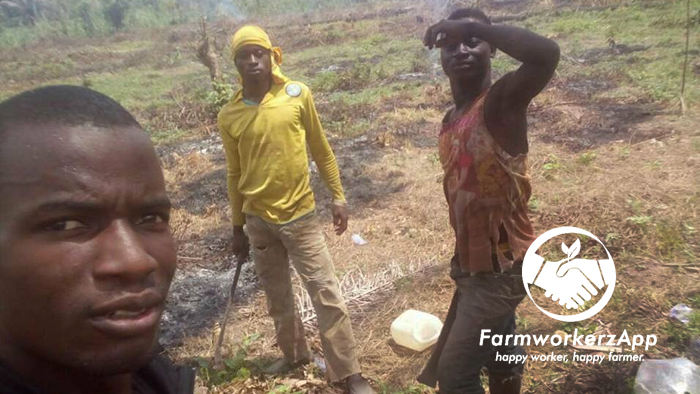 FarmWorkerzApp is a digital platform that seeks to connect vetted farm-hands to potential farms for hiring anytime, anywhere. HeLawyer is a mobile app which makes legal information and advice available to citizens 7 days a week, in an affordable and easy-to-use manner. Barefoot Law is an online Legal Service Provider that provides access to justice and the Law for thousands of individuals and small businesses who would otherwise remain underserved. 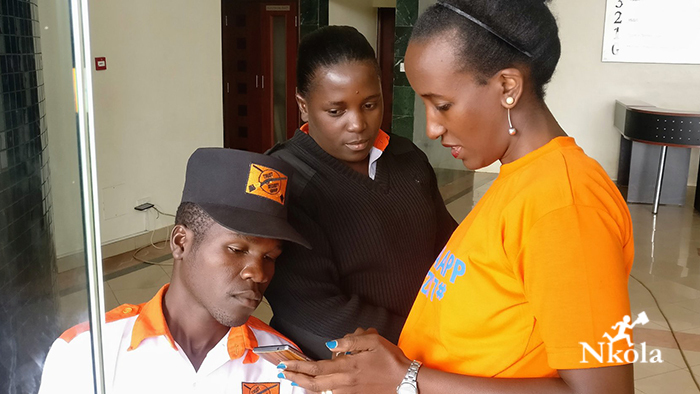 Nkola App provides users with information about their rights using a technology that doesn’t exclude the poor; Unstructured Supplementary Service Data. Lawyers for Farmers help farmers make practical changes in starting, structuring and management of their farm businesses for increased productivity and profitability. Justice Bot is a chatbot that provide access to legal procedures information and services to Ugandans in needs of legal service and justice. Yunga is a local rescue digital network for neighbors that allows them to communicate to each other in real time in case of attack. 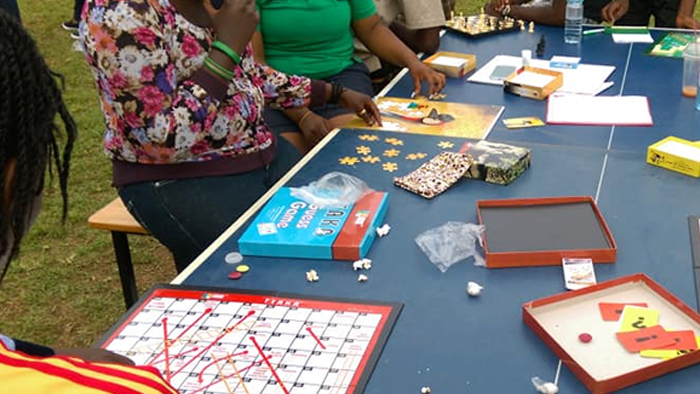 Zzimba Games educates people about legal procedures in an accessible way. Entertaining card and board games mirror their environment and subsequently empowers them to take action. BTrack designed an affordable GPS Tracking Device to monitor and recover stolen bikes, but also that can cut-out the engine remotely. Usalama takes access to emergency services to the 21st century by providing a single point to contact emergency services by a tap of a button. 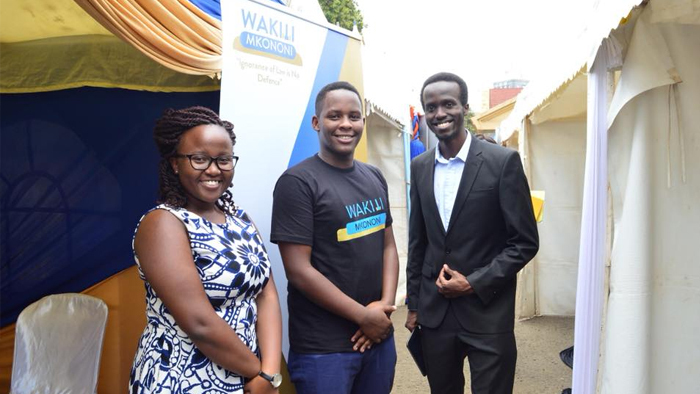 Wakili Mkononi is a social enterprise that offers legal aid services and legal networking services on a digital platform. Viamo makes legal information available toll-free on demand in pre-recorded AND text. It helps drive public awareness about employment rights to stop staff being deprived of their rights. 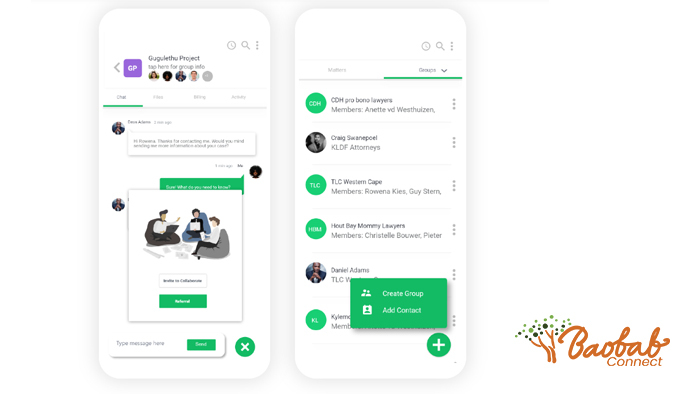 Baobab Connect provides a set of tools to track cases, manage teams and measure impact at scale. It is a decentralized case management for lawyers and community paralegals. Creative Contracts prepares contracts that are easy-to-understand, especially illiterate people. 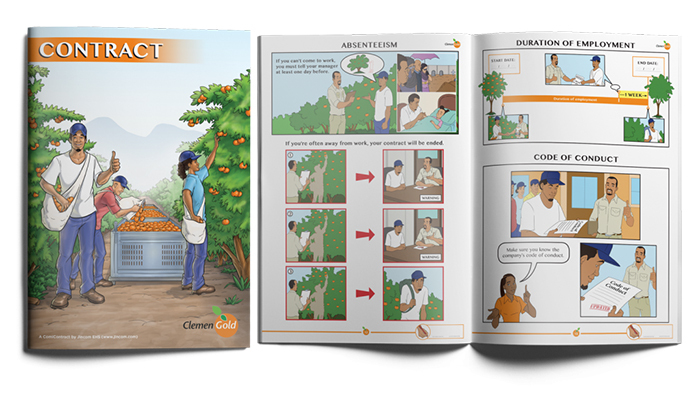 Visual communication techniques make it possible to everyone to understand their rights and obligations in their contracts. 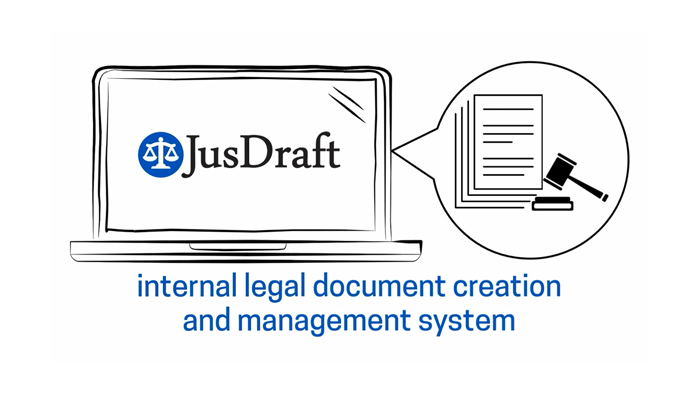 JusDraft is an internal legal document drafting tool that allows NPO’s to draft legal documents or complete court forms without the need for an attorney. Citizen Justice Network trains community paralegals to develop radio stories on cases important to their area. The stories help improve residents’ literacy and level of engagement. 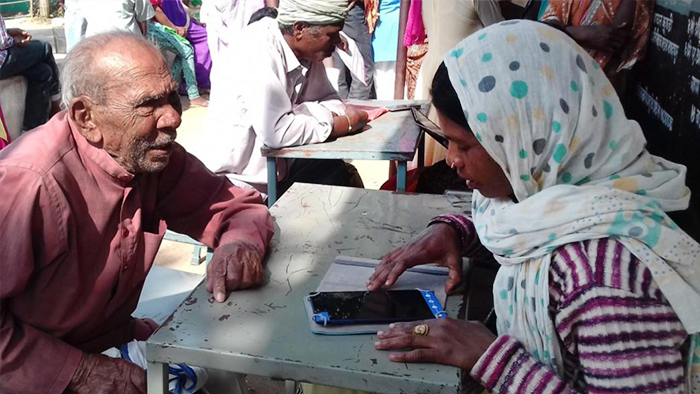 Haqdarshak trains local facilitators, supported by a tech platform, so citizens discover, apply for and benefit from eligible welfare schemes. Bababon Sangho is an open source Android mobile app which prepares maps of land in order to prevent or solve land disputes. Axdraft is a free online platform with automated legal documents for small and medium enterprises. Vkursi allows citizens and small and medium enterprises to check companies including risk monitoring, checking licenses, inspections and lawsuits against the company. Adapting Legal provides software to dramatically improve law firm’s processes, giving them more time to serve more clients. 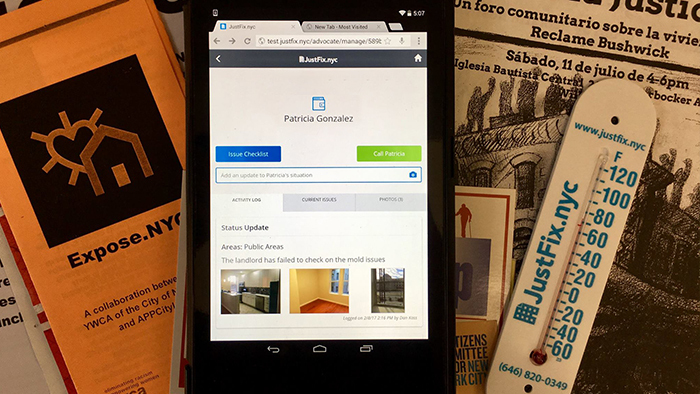 JustFix empowers tenants in neglectful housing situations with tools to better organize, connect with advocates, and take legal actions. Just Fix (USA): empowers tenants in neglectful housing situations with tools to better organize, connect with advocates, and take legal actions. Lady Liberty (South Africa): Lady Liberty is the proud flagship project of CSI Boutique and its core focus is to provide access to basic legal information and services to vulnerable and marginalized women and girls in poor, disadvantaged communities who otherwise cannot access the law. Lexyom (Lebanon): Lexyom is an online legal technology platform that answers your legal questions, helps you find a lawyer, helps you draft legal documents and contracts. 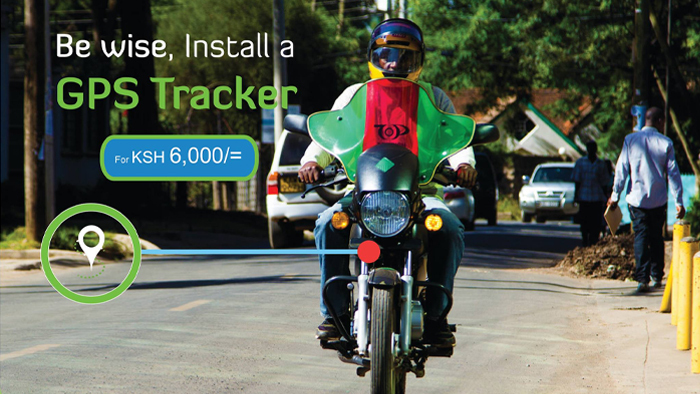 Msheria (Kenya): A mobile app that insures drivers against traffic offenses. they can access bail through the application once arrested, and with subsequent legal costs coming from the offences also covered. 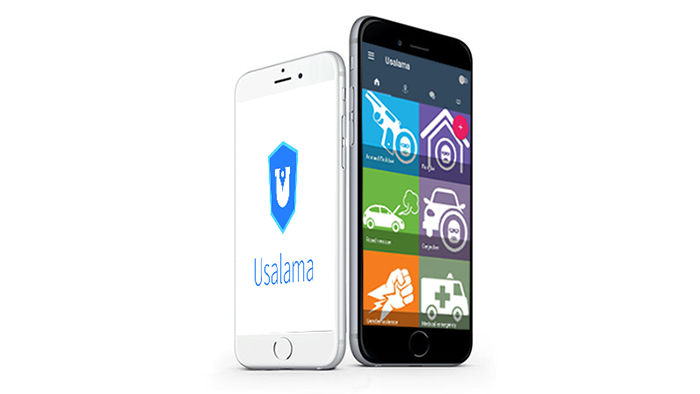 Usalama (Kenya): The Usalama app is a platform that connects users and emergency service providers (ambulance, security, police, road-side assistance) in a quick and efficient manner, utilizing real-time user data, and an integrated web-based back-end portal. Creative Contracts (South Africa): Creative Contracts creates contracts for everyone to understand. Legally binding agreements where the parties are represented by characters, the terms of the agreement are captured mainly in pictures, and the parties sign the comic as their contract. Patentbot (Ukraine): A chatbot that helps you check and register your trademark. Using blockchain technology Patentbot checks if your trademark is free. You can then register your trademark online. Opendatabot (Ukraine): Opendatabot is a service that allows you to monitor registration data of Ukrainian companies and court register. With this information, you can control your contractors and protect yourself against corporate raids. Lawpadi (Nigeria): a friendly chat-bot that can be used to get information about the law for any legal issue in Nigeria. Mulika Hongo (Kenya): Your virtual police station: Mulika Hongo is a mobile app that allows citizens to anonymously report bribery and corruption. 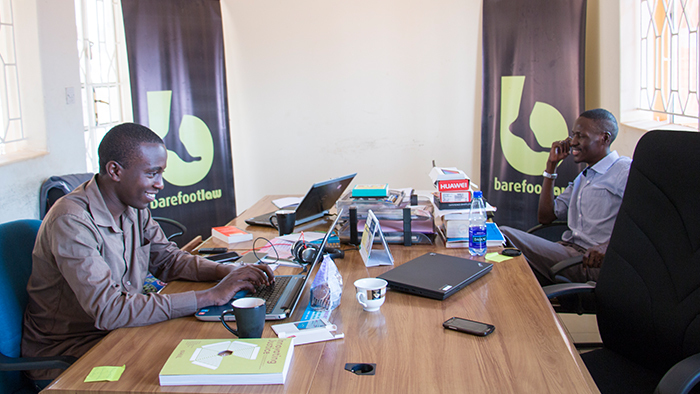 Barefoot Law (Uganda): an online Legal Service Provider that provides access to justice and the Law for thousands of individuals and small businesses who would otherwise remain underserved. Lawyers for Farmers (Uganda): they help farmers make practical changes in starting, structuring and management of their farm businesses for increased productivity and profitability. West Nile Mediation Center (Uganda): Courts too expensive? 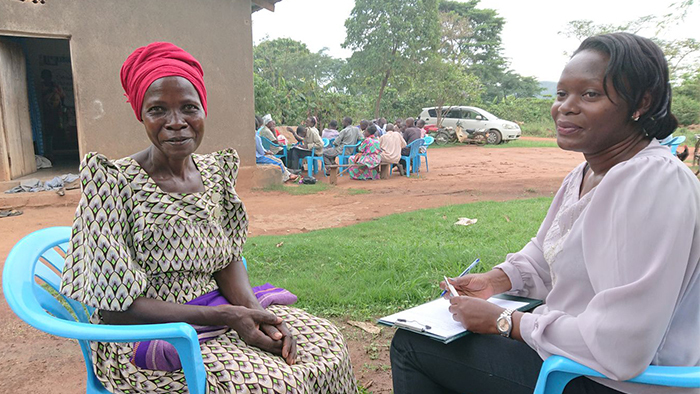 West Nile Mediation Center is the first independent mediation center in Uganda, focusing on land and family issues. 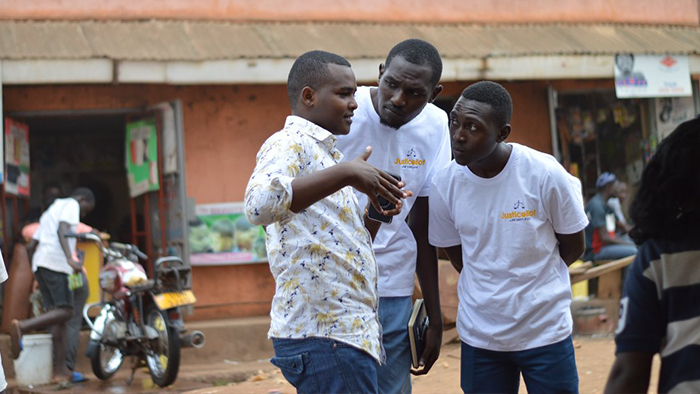 J2P – Justice 2 People (Uganda): a platform for citizens to report crime in real time, and to engage law enforcement authorities in a fast and efficient way. Citizen Justice Network (South Africa): trains community paralegals to develop radio stories on cases important to their area. The stories help improve residents’ literacy and level of engagement. Legit car (Nigeria): a car theft-deterrent system that makes it difficult to resell stolen vehicles in Nigeria. Easytender (Ukraine): increases fair competition in the public procurement market in Ukraine. Court on your Palm (Ukraine): an application that allows the analyzing of lawsuits to search, explore and visualize lawsuits in Ukraine. Legal Advice Middle East (UAE): n online marketplace to connect lawyers and consumers across the UAE and the Middle East. Road Rules (Zimbabwe): a mobile app that helps motorists fight traffic police corruption in Zimbabwe. DomJurista (Ukraine): A service that will predict your chances of winning in court, using artificial intelligence. Sauti (Kenya): A mobile based trade and market information place, empowering East Africa’s women-led SME’s to trade safely, legally and profitably across the borders. Pinky (Ukraine): allows customers to complain and negotiate disputes with retailers online in Ukraine. 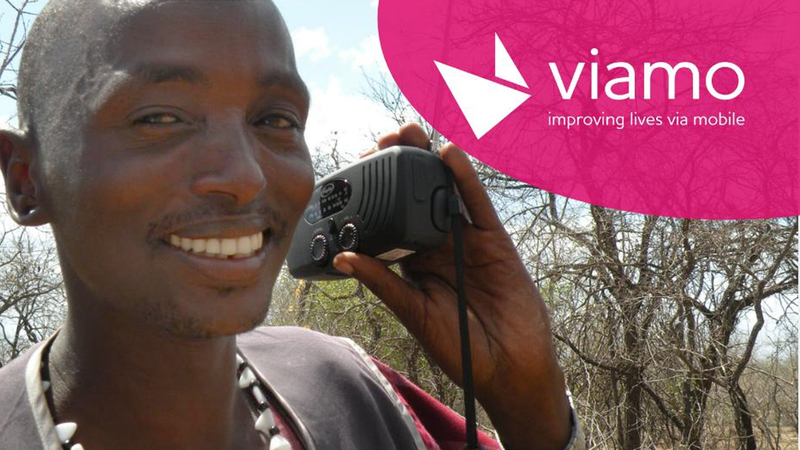 Wetaase (Uganda): utilizes voice-based mobile technology from Uganda, to track migration of trafficking victims, and to provide a reliable information back to them. MoLLY (South Africa): is a digital educational platform which provides legal explainers to children in basic education using machine learning in South Africa. INDenture (Ghana): A land records platform that compares crowdsourced land documents with antecedents to find encumbrances and performs initial checks on land ownership in Ghana. Vertex (Ghana): provides legal counselling through a pre-paid legal protection plan in Ghana. Tambua (Uganda): A mobile app that allows users to check whether pharmaceutical drugs they have bough are counterfeit. Cabinet Gaiba (Senegal): one of Senegal’s first legal tech platforms, offers legal services to individuals and institutions. Puliida (Uganda): empowers farmers, agribusinesses, climate change driven entrepreneurs and other similar organisations with innovative legal and policy solutions focused on sustainability. Provides consulting, legal services, and plain language legal tools. Legal Alarm (Ukraine): emergency legal help in one click – an app offering 24/7 fast legal assistance by a team of legal experts. Legal Advice Middle East (UAE): connects people to lawyers across the UAE and the Middle East. Sauti (Kenya): empowers informal cross-border traders by providing them with information on applicable trade laws, procedures and tariffs, and thereby enables them to trade profitably, safely and legally. It also allows for traders to report incidents of corruption or harassment. 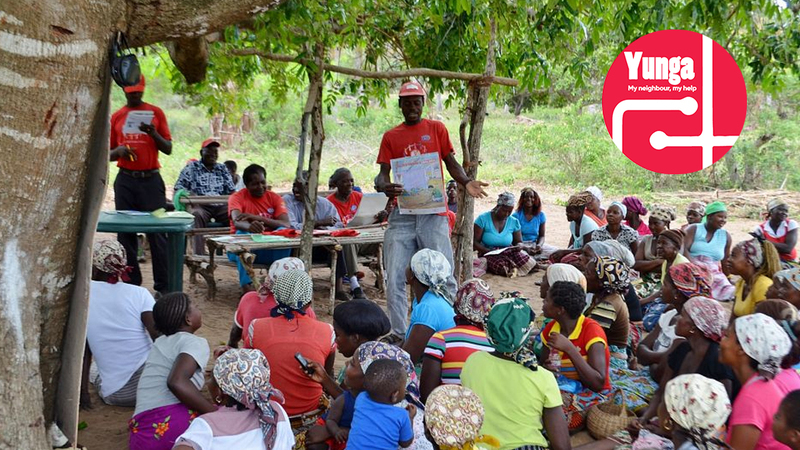 FAMALIA (Kenya): addresses the lack of information and the inefficient case processing in succession-and land-related cases by providing information and case status updates through a mobile service. Môh Ni Bah (Côte d’Ivoire): enables the registration of newborns in rural areas. Ufulu Wanga (Malawi): a human rights platform that provides basic and educative information on human rights issues and on what to do when your rights have been violated, all while guaranteeing anonymity. It also provides access to professional legal advice. Legal Legends (South Africa): a platform providing efficient and fast access to a wide range of legal services, at a fixed price. Wemora (Nigeria): an online service helping families and businesses find and create the legal documents they need. 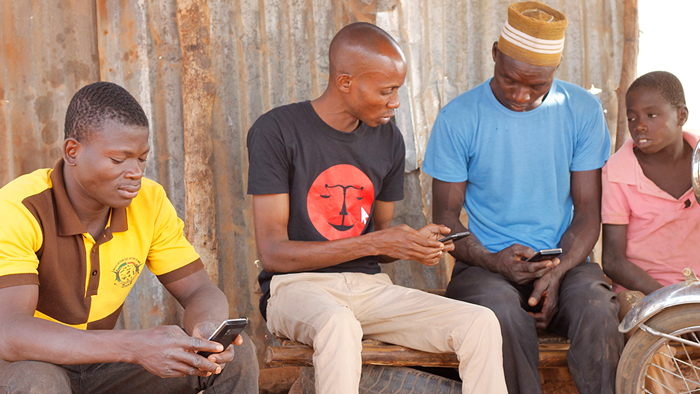 Lawyers 4 Farmers (Uganda): empowers Ugandan farmers by providing access to instant legal information through an SMS-based platform. FarmingBay (Kenya): ensures that farmers trade and enter into transactions with confidence and without fear of deception by providing information and legal documents. IMAPP (Nigeria): heir goal is to create a sustainable society by providing easy and affordable access to insurance. 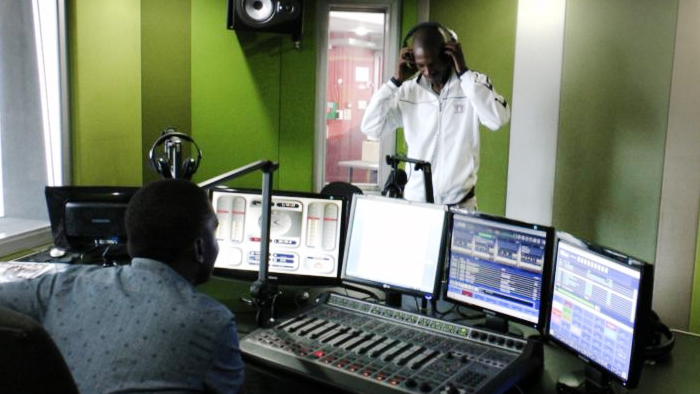 Citizen Justice Network (South Africa): their mission is to make legal knowledge widely available through training community paralegals to be radio journalists, and then pairing them with their partner radio stations to produce stories that teach people about law. Just Land (Ghana): offers affordable and efficient legal services related to land registration and other legal documents connected to land. Domjurista (Ukraine): an algorithm for preparing legal documents by searching for the template that is the most similar to what the customer requires and then adapting it to their specific needs. EasyTender (Ukraine): a service checking tender applications to avoid losing a tender call due to inaccuracies, not having all documents prepared, and other mistakes. Haki Law App (previously KnownAfrique) (Kenya): their mission is to make knowledge about laws generally and easily accessible. The app provides legal information and connects citizens to lawyers. Cryptonomica (Ukraine): a global database of verified entities that provide electronic document signature and/or online dispute resolution. It creates a cryptographic key for the user that can then be used to securely sign documents, to encrypt documents, and to negotiate disputes online. Slumfighters (Rwanda): combining architecture, access to legal aid and design to help slum inhabitants in Rwanda to improve their neighborhood livelihoods. Ligo (The Netherlands): a platform that helps businesses establish themselves and manage their activities. It also provides access to legal documents and to professional legal advice. Duka (Kenya): smart bookkeeping – this tool keeps track of your sales, expenses, stocks and cash flow with ease. Five-0 (USA): the innovation addresses the issues and incidents related to citizens’ interactions with the police. It allows users to rate their interaction with the police in a specific country, to submit anonymous reports, and to identify positive practices that are then encouraged. Integrity Idol (Nepal): an anti-corruption tool that generates debate around the concept of integrity, builds a network of honest government officials who can push for positive change, and inspires the new generations of public servants to be better. mSME Garage (Uganda): the one-stop centre for legal guidance for SMEs, offering free legal information on everything related to starting and running a business in Uganda. LawForMe – Lawtoons (India): simplifies complex laws and turns them into easily understandable visuals. Accountability Lab (Liberia): supports and builds the network of a new generation of leaders and changemakers, who develop and implement innovative ideas for positive social and economic development. 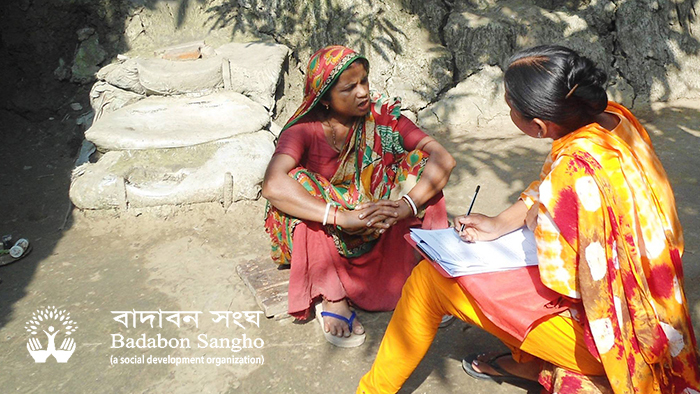 BRAC Property Rights Initiative (Bangladesh): empowering poor and underdeveloped communities by informing them about property rights and about the related laws, and enabling them to stake their claim on their property. The innovation also has a special focus on women. Project JUST (USA): this innovation wants to transform the fashion industry into a transparent, accountable and sustainable system by providing shoppers with information that allows then to make ethical buying choices, and by encouraging ethical practices for producers. Liberty & Justice (previously Made in Africa) (Liberia): Africa’s leading ethical apparel manufacturer committed to eradicating poverty, empowering workers, and environmental responsibility. 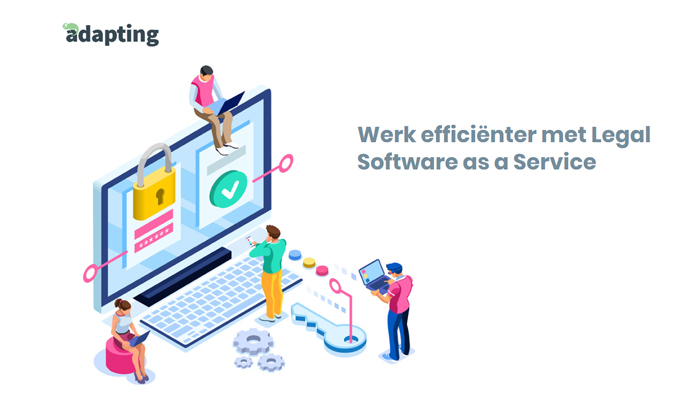 WageIndicator (The Netherlands): empowers both employers and employees during job search and negotiations by supplying up-to-date and easy-to-understand wage data. Ushahidi (Kenya): an intelligent analytical tool for gathering input on situations unfolding on the ground (e.g. elections, humanitarian crises), and for rapidly organising a response to them. Therapeutic jurisprudence (Puerto Rico): an organisation supporting therapeutic jurisprudence through organising conferences and other events, supporting and funding research, promoting best practices, and encouraging education in the field. Legal Atlas (USA): a versatile tool that uses artificial intelligence to create maps and legal analytics, which may be used to perform a variety of tasks such as risk assessments, treaty compliance checks, enforcement support, and many more. E-Court (The Netherlands): an online court that processes and adjudicates private law cases all over The Netherlands. OAS Judicial Facilitators (Equador): improves access to justice by training community leaders to be mediators and conciliators, and thereby reduces the strain on the formal judicial system. Do you have any questions regarding the application process?